When it comes to training for months, even years, and committing cold hard cash to a 26.2-mile adventure, we’ve all considered at some point how to make the marathon experience even more remarkable than the feeling of crossing the finish line. Turning your next — or your first — marathon experience into a true getaway offers incredible chances to discover a new place in the most intimate way possible: on your own two feet. Whether you want to escape the winter blues, explore classic cities, test your physical limits, or just take in some of the wonders of the world through traveling to race, there’s a destination marathon out there waiting to top your charts. Shake the cold out of your bones by heading down to The Sunshine State for the Miami Marathon, Half Marathon, and Tropical 5K. The main event takes place on Sunday, January 29, 2017, preceded by a Health and Fitness Expo put on by the Miami Herald and El Nuevo Herald newspapers beginning Friday afternoon with the Tropical 5K on Saturday morning. Marathon and half marathon runners kick off at 6 a.m. Sunday and celebrate at the Miami Marathon Finish Festival at Bayfront Park. The 26.2 race takes a mostly flat course that crosses the MacArthur Causeway, treks over onto Miami Beach, and follows the scenic coast of the Biscayne Bay before passing the starting line at the American Airlines Arena to finish at Bayfront Park. With average temperatures in the mid-70’s throughout January, nothing will feel better than ditching the running tights in favor of your favorite summer shorts for a heartening weekend in the tropics. Chicago might not always bring the heat when it comes to the weather, but this half marathon race makes for a remarkable trip in one of the nation’s most iconic metropolises. On September 24, 2017, runners will get the unique opportunity to “enjoy” a day on foot along Lake Shore Drive without a car in sight, capturing luxury views of Lake Michigan throughout nearly the entire race. The course also passes by the impressive Chicago Science and Industry Museum, and wraps up at the feet of the Statue of the Republic. The post-race party will throw down at Jackson Park, once the noteworthy site of the World’s Fair Columbian Exposition in 1893. This race is part of the Chicagoland Half Marathon Series, which presents both the Chicago Half Marathon and the May 21st Michelob ULTRA Chicago Spring 13.1 in order to honor runners who take on both courses with a special “26.2 Challenge” award. Feed your masochistic side by running through Death Valley National Park in Inyo County, California, on February 4, 2017.The out-and-back course begins at Furnace Creek Ranch and follows Highway 190, Death Valley’s central road, which lies completely below sea level. Only 350 total participants across the marathon, half-marathon, and 10K races are allowed to enter, in order to keep the event unique and intimate. February temperatures peak in the mid-70’s here, a comfortable range compared to Death Valley’s infamous summer heat, but the race still poses a threat to runners overwhelmed by the dry air, bright sunlight, and desert conditions. 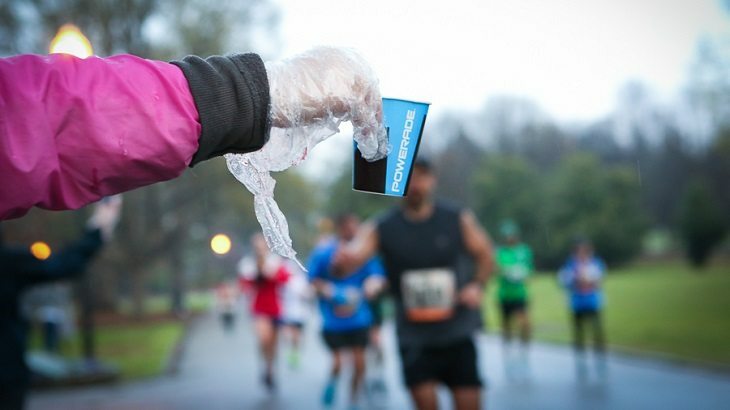 Runners are encouraged to bring their own water in addition to the many aid stations along the way. All that hardship is worth it in the end, however, when the first place male and female winners walk away with their coveted rubber chicken prizes alongside more traditional plaques and ribbons. Ever wonder how your race times measure up to an antelope’s? The Big Five Marathon (named for the “Big Five” game animals in the area: elephant, leopard, lion, buffalo, rhino) in South Africa gives participants the unique, thrilling opportunity to run through the bustling savanna for a story you’ll tell for years to come. Each year’s race takes place in June, which is wintertime in South Africa, and the course covers land within the Entabeni game reserve near Johannesburg and Kruger National Park. Rangers on the ground and in low-flying helicopters observe the race to help protect runners and wildlife from one another, especially when runners pass by lion territory! The race has occurred every year since 2005, and is known for its exceptional difficulty thanks to searing sunlight and intense elevation change. The Big Five Marathon and Half Marathon both fill up months in advance, so put this one on your calendar now for an adventure to look forward to, and savor forever after. The Big Sur International Marathon brings runners to one of the most beautifully unvarnished regions in the country, located on the coast of California along the Santa Lucia Mountain Range. The April race takes Highway 1, a national Scenic Highway, from Pfeiffer Big Sur State Park to Carmel for stellar views of majestic Redwood groves and the sea crashing against the rocky Pacific shore. More than 4,000 runners participate in the event each year, which includes a full marathon, 21 mile race, 5 kilometer race, and relay race. 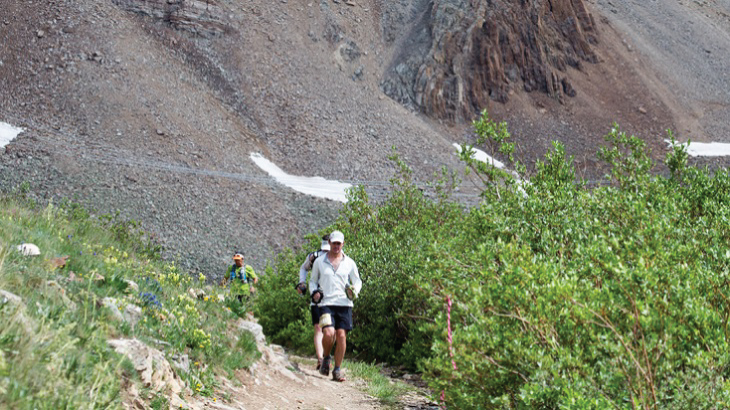 The course features more than 2000 feet of elevation gain to guarantee a challenge, in case the distractingly gorgeous landscape doesn’t pose enough of one. The Big Sur International Marathon organization contributes much of its earnings to charity, and has raised more than $2 million for its charity partners since the race’s first year in 1986. One of the largest marathons in the U.S., the Honolulu Marathon sees 30,000 annual participants on average for good reason. Who wouldn’t rather spend a December weekend soaking up rays in Hawaii? Honolulu weather in December sees temperatures in the 60’s to 80’s throughout the morning in perfect tropical form, a treat made better only by views of the magnificent Diamond Head State Monument as you take off along the Pacific. There is no limit to the number of registrants for this rejuvenating winter race, and runners or walkers can take as long as they need to finish without a cutoff time nipping at their heels. The course begins at Ala Moana Boulevard and finishes in Kapiolani Park for a party complete with malasadas aplenty — a Portuguese fried pastry that has become a staple of Hawaiian food culture after immigrants divulged the secret. The race begins to the tune of raucous fireworks signaling the start of a day well spent. –Author Lucie Hanes lives and thrives in Golden, Colorado, where she seeks out long days filled with rock climbing, trail running, skiing, and trying not to faceplant while doing any of the above.